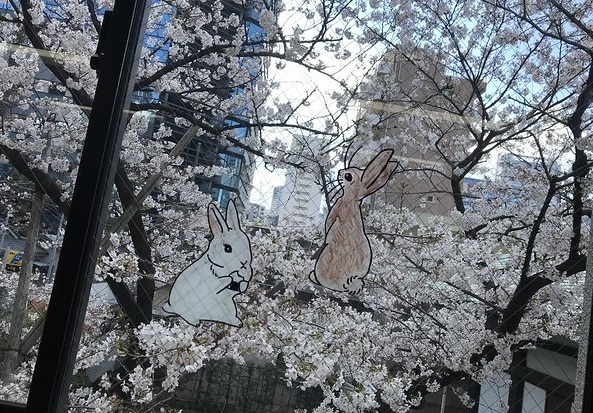 In Japan, it’s common for people to celebrate the coming of spring and view the beautiful cherry blossoms that bloom after a long, cold winter. 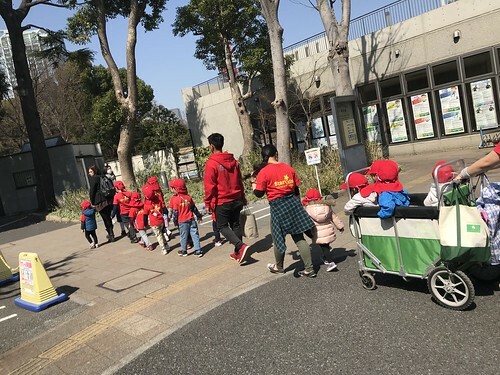 On March 20th, 2019, Star Kids parents, teachers and children all came together at Shibakoen. 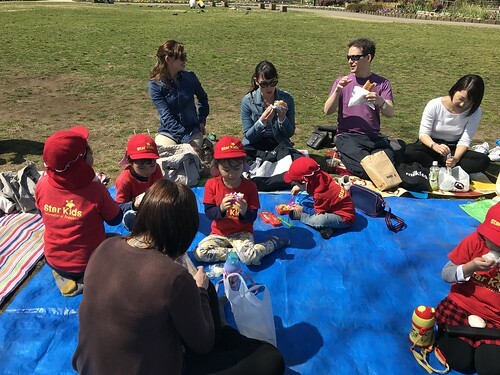 The cherry blossoms were not yet in full bloom, but we were able to enjoy some warm and sunny weather together before we said our goodbyes at the graduation ceremony. 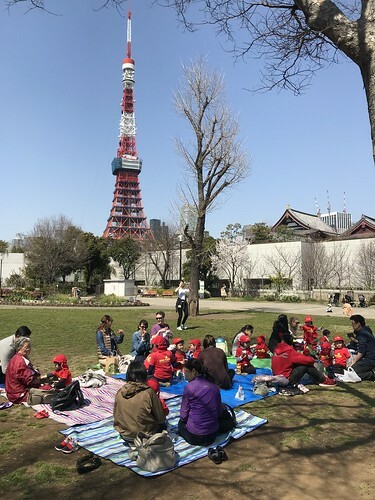 We all sat together on the grass near the play area. 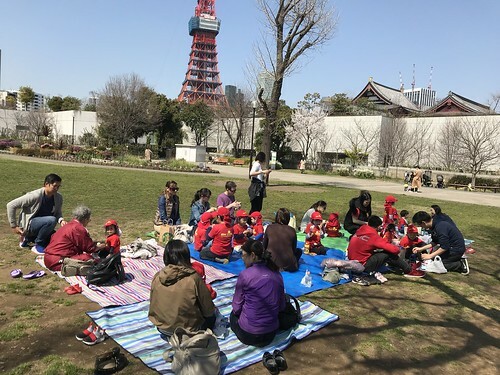 After some chatting and a delicious lunch, children played on the open grass and slide while parents relaxed and chatted. 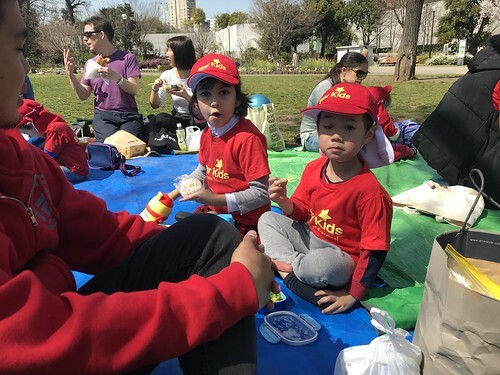 It’s so nice to get a chance to get to know parents even better and give the children some extra fresh air. 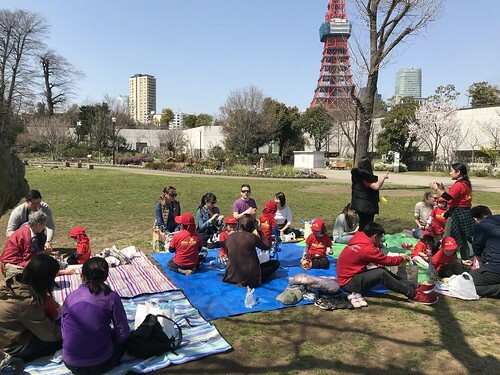 Thank you to everyone who was able to join us for our annual Cherry Blossom Picnic this year. 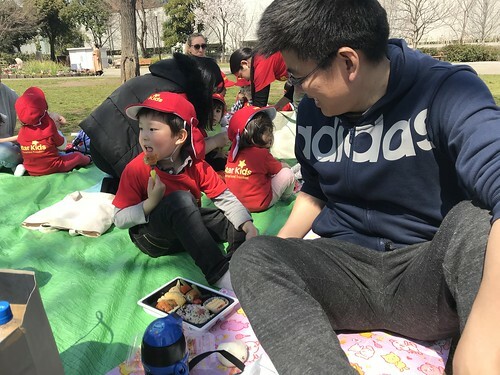 It was so great to have family from each student’s home join us. Take a look at the photos we took and we hope you had a great time!